It’s hard to say goodbye. But understanding why people leave your company is a crucial part of developing a best-in-class workforce. Regardless of whether the individual is an underperformer or a Rockstar, departures frequently point to broader organizational issues that need to be addressed. Managers often react emotionally when an employee gives notice. If the person is an up-and-comer who has been given promotions and raises, the manager likely feels angry and betrayed. If the person failed to meet expectations, the manager may feel relieved. Either way, there are lessons to be learned. And in either case, the manager may worry about the optics of the departure – both internally & outside the organization. It’s important to recognize that attracting and retaining Rockstar performers is vital for organizations to grow, innovate, and outperform the competition. That’s not just my view. A 2016 Conference Board survey revealed that attracting and retaining talent is the number one concern amongst CEOs, regardless of their company size or industry. Noam Wasserman, professor of clinical entrepreneurship at the University of Southern California, estimates that 65% of growth companies fail because of people problems. They either hire the wrong people, put people in the wrong roles, or fail to create an environment that inspires people and enables them to work together harmoniously. With unemployment at the lowest levels in years and a growing shortage of highly skilled workers in many job disciplines, getting the people equation right is particularly critical. From top to bottom, employees have more options than ever before. So, companies that excel at hiring & retaining top performers have a huge advantage. If a poorly performing employee leaves, it’s an opportune moment to examine the decision-making process that led you to hire the person in the first place and to create a new process that will prevent you from repeating the same type of error. - Focusing too much on experiences and competencies, and overlooking the match between the company’s culture and the employee. For example, a person who prefers to work in teams may make a poor fit for a sales organization that fosters competition between sales people. - Overemphasis on the interview. Some people, particularly in sales, give great interview performances. They can read your body language and tell you exactly what you want to hear. Once in the job, however, these same people may talk a much better game than they actually deliver. - Confirmation bias. We tend to prefer hiring people like ourselves and we often subconsciously make up our mind about somebody within the first few minutes of the interview. To counter that tendency, develop a standardized list of interview questions, gather information on each candidate without bias, and fairly weight all the candidates against objective criteria for the position. - Lack of clarity about the needs of the position. If you don’t know what you’re looking for, you won’t find it. You should develop a very precise description of the skills, experiences, and qualities that are necessary to succeed in the position. I (literally) keep a Scorecard that allows me to meticulously track how well a candidate meets the job requirements and then use the Scorecards to compare candidates against each other. - Overweighting titles and companies. It’s natural to be impressed by a senior executive from a Fortune 500 company, particularly if you’re running much smaller organization. 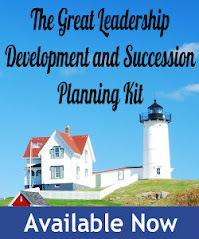 While the person may bring a wealth of valuable experiences to your company, you should take care to determine exactly why the person left or wants to leave that Fortune 500 position, how their specific skills translate to the job you’re seeking to fill, and whether the person will thrive in your organizational culture – often one with less resources and formality. - References are given short shrift. Many organizations do not check references until after they’ve decided on a candidate. In those cases, negative or lukewarm comments from references are often ignored. It’s best to talk to references early in the evaluation process and give them due consideration. As an organizational leader, one of your most important jobs is to keep your A-players engaged. Take the time to get to know your top performers. Uncover the challenges and opportunities that will make them thrive and ensure they are rewarded fairly. When a Rockstar leaves, the loss can be demoralizing to the rest of the team. If people perceive that the departure was motivated by something negative within the organization, you need to work hard to correct the problem and to make sure other A players are inspired, challenged, and happy in their work. I insist upon conducting exit interviews myself with A-level employees. I want to find out exactly why they left and to leave the door open for them to return to the organization. There’s no sense in burning bridges with departing employees, particularly those who have contributed so much. It’s an axiom that people don’t quit their jobs; they quit their managers. For example, if you’ve recruited a Rockstar director of marketing and that person works under a B-level vice president of marketing, the new hire will likely become frustrated and disengaged. Studies indicate that an employee’s relationship with their manager accounts for about half of their job satisfaction. Lousy managers are toxic to organizations. Get rid of them. I know a CEO who makes it a point to meet 1:1 with every manager in the organization. Afterwards, he asks himself: “Would I want to work for this person?” If the answer is No, he finds a way to discharge the person or remove their managerial responsibilities. - By definition, Rockstars are ambitious. If you don’t provide them with growth experiences, challenges, and a career path, they may be enticed by the Siren call of a recruiter offering a higher-level position and greater responsibility. - Rockstars do not want to work in a dysfunctional organization that lacks effective leadership and is filled with “C” level players. Winners want to work with other winners. - Poor Work/Life Balance. Rockstars will invest the extra hours to go above and beyond their duties to achieve the organization’s goals. In return, they expect some degree of flexibility in integrating their personal life with their work life. If you don’t offer that flexibility, another organization will. When a Rockstar decides to leave, I wish them every success and thank them for their contributions to the organization. I also tell them that if the opportunity doesn’t work out as planned, I would be happy to talk to them about coming back to our organization. I then reach out to them in a few weeks later to ask how things are going. If they say, “I’ve made a mistake,” I welcome them back with open arms. From an employee recruiting & retention perspective, a Rockstar who returns is a great event. It signals to the team (and prospective hires) that the grass isn’t always greener and that you have a terrific organization. 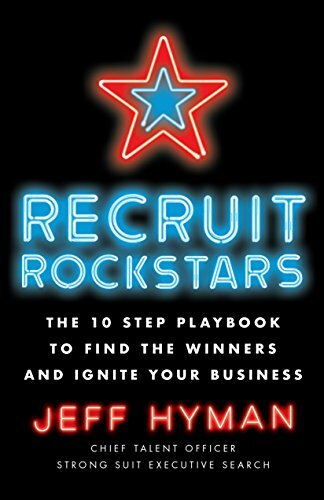 Jeff Hyman is bestselling author of Recruit Rockstars, Professor at Kellogg School of Management, host of the 5-star-rated Strong Suit Podcast, and Chief Talent Scout at Strong Suit Executive Search.